Does it bolt up to a factory style centre section like VSR or supersprint? This image of the product shows a dual flange that looks to be the same as a factory flange. I am wondering if I can use a supersprint centre section with this? For sure the flange is the same shape as stock, but wider and with much larger diameter pipes. Perhaps as Jimmy suggests, a Gr-A system might bolt up to it. The system I had was made by Rochhausen, and Muzzi's looks strikingly similar, although not exactly like the one I had. Although it looks like Muzzi may have used a factory style flange on the output side of that slip on collector -Y,,, I'd be willing to bet that it ill not just mate with a stock type center section. 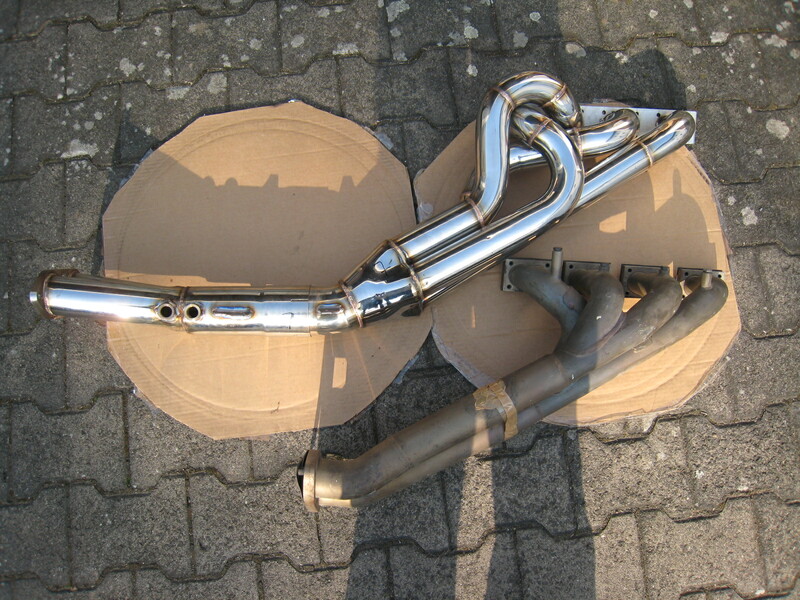 It could also be a clone of the 2 piece header flange,,, which doesnt bolt up to any other S14 flange except for the 2 piece header flange (but looks like it would). A header like that you wouldnt want to be using with any stock type center section anyway. I would be willing to be there "is" a DTM exhaust it does bolt up to. 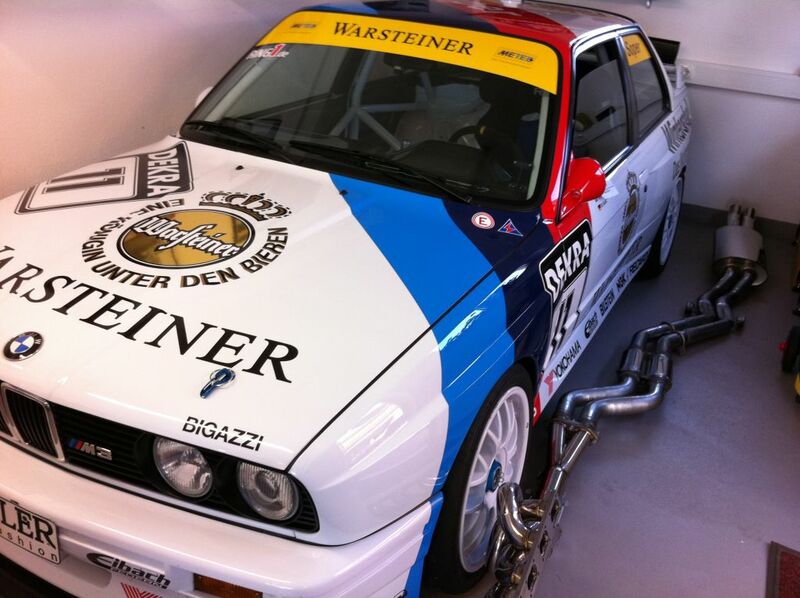 There is a great old DTM video of an E30 M3 sliding across the finish line on its roof, the best take away from that video is the great closeup you get (via pause) of the underside of a period DTM car in use. EDIT: Just read your post, yeah I figured there was a DTM style exhaust to go with it. Last edited by jimmy p.; 12-05-2018, 10:15 AM. Ahh thought so. Muzzi sells the complete system but it ain't cheap. But would be future proof for building big hp motors. Overkill for my current 2.5 and would probably loose torque. I'm almost 100% sure it will not. I had a setup strikingly similar to this, and it came with a full rear section, including a custom rear muffler. It was a gorgeous setup, but definitely full custom from header to exhaust tips. I also believe the tube size is a lot larger than most domestic rear sections.